Francis Cardinal George is seen in this undated file photo. 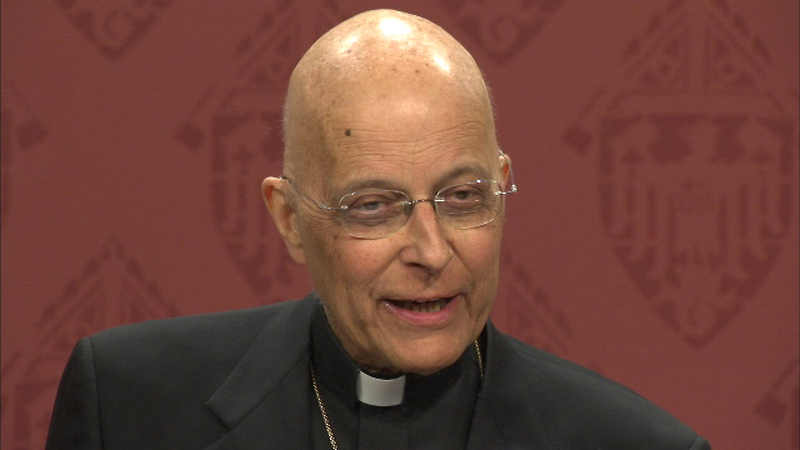 CHICAGO (WLS) -- Francis Cardinal George is back at his residence after spending a week in the hospital getting treatment for pain management. The archdiocese first said the cardinal went to the hospital because he was having trouble walking. On Monday, Archbishop Blase Cupich clarified that and said the cardinal was there for pain management. Cupich says the cardinal is doing well. "He's a person who has wonderful interior strength and has the ability to just roll with the punches and a person we should all admire and esteem, the way he is handling his suffering," Archbishop Cupich said. The cardinal stopped his cancer treatment in January because the experimental drugs weren't helping.